I recently attended an awe-inspiring, colorful Indian Wedding in Puri India, which was hosted by a close colleague at work for his delightful daughter bride. It was truly a once in a lifetime experience and as the only full blooded westerners (apart from Mike) attending the 4 day cultural marathon, my family (wife and 5 year old son) and I felt blessed to be part of it. We faced some interesting experiences on our journey to Puri, which included an Air India flight from Dubai-Delhi-BBI return. Overall our Air India experience was a pleasant one, especially on the Dreamliner except from Dubai to Delhi, however the local leg was served by an old plane that for all intense and purposes should have been retired with broken seats and arms hanging off. The staff were well trained and pleasant, however and even for a short journey the food was plentiful, although not always edible for the western palate. Check 1: To gain access to the Airport Terminal itself one needs to go through a queue guided by steel railings which takes you to a man dressed in Military type clothing who requests to check your flight tickets. Oy my God we only have e-tickets, so as a family we delayed those behind us frantically looking for our 3 e-tickets somewhere deep in my Inbox. After convincing the Military man in question we actually had tickets, we passed through the main terminal entrance. Check 2: This one I will never understand! Another Military man with badges galore who waits at a second set of doors to enter the Terminal, who wants to see exactly the same thing from meters away from the other guy! Oh no, I shut down my mobile and email App! After more fiddling around for an e-ticket on my mobile again we passed through to the next check. Check 3: This time our check-in Baggage is processed through a large scanner and a small label is placed onto Hand Luggage. Here one has to go through the rigmarole of lifting cases off and onto the Luggage Trolley, but at least there is some kind of logic to the check and it’s not the first time we have had to face such a check in the world. Check 4: This time it’s an Air India enforced check, as a staff member desires to check your e-ticket again. A queue can build up, but the step can be avoided if one makes a Bee-Line straight for the Star Alliance Check-In counter, where I took a chance and succeeded to Check-In with my Aegean Airlines Silver membership card. Check 5: Check-In itself which logically requires proving identity, passage for travel and Visa etc. This was reasonably painless, except even for a short Domestic flight a nonsense form had to be filled in for customs. Check 6: A passport Immigration check for a Domestic flight. Here Visas were checked again and correlated to the passport. No stamps on the Passport, but our Boarding Passes were stamped. Check 7: The only way to describe this check was a pre-Boarding Pass check before we could gain access to the Hand Luggage and personal scanning area. Check 8: Upon arrival to the Hand Luggage and personal scanning area our Boarding Passes were unbelievably checked again! Check 9: At this juncture we managed to proceed through the Hand Luggage scanning X-Ray machine with the usual norms of taking the Laptops and i-pads out. In Delhi I was requested to take every single cable and electronic item out also. The strange thing there is that they do not care about liquids and my wife even left a bottle of water inside her Handbag which was not flagged up. Check 10: Once through the X-Ray machine, we faced another Boarding Card check and this time our Boarding cards were stamped. Check 11: Whether we beeped or not under the Security arch, Security staff were determined to frisk us anyhow meaning another check was enforced. This was a very personal as Security staff frisked us physically looking for any lumps on our bodies! Check 12: Now it’s time to pass through customs and hand over the form we completed at check-in. Here yet another stamp was added to our collection on the Boarding Pass. To summarize, if Modi plans to bring India into the 21st Century of Tourism, the constant checking of checking of checking needs to be addressed. 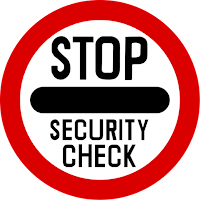 Such checks do not make us more secure, as many of them were not even done properly. Instead they are layers of distrust between the various entities doing the checking. 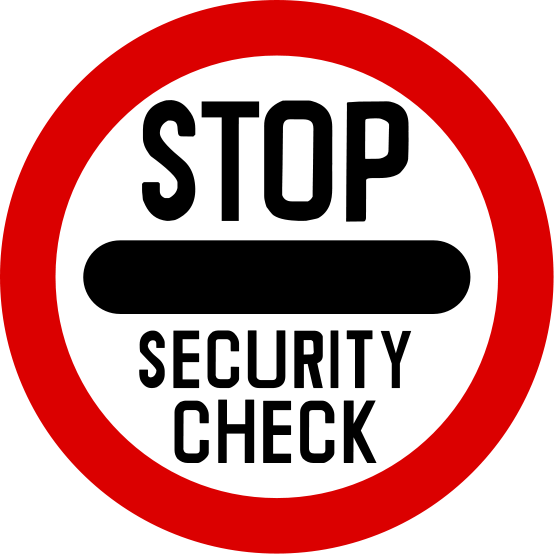 Incredible India has much to offer the world and it’s an awe-inspiring experience going on holiday there, however security checks is not there strong point!